Those all sounds amazing! I love the different versions idea! Thank you for all the hard work that you are putting into the site. I look forward to seeing all features and the revamp you have planned. This is going to be fantastic Leandra!! They used to be little letter envelopes that showed if the message is new or not. It's basically the same now, the dark grey diamond means unread pst/message and the light faded grey means its read. I'm debating if I wanna keep it diamonds or make it something else, but for now that's how it is. I'm also implementing a diamonds system which will be kinda like a like/heart system on other sites such as polyvore, facebook, etc. Basically members will be able to give diamonds to an original post, so like when they share fashions and stuff, someone might get a bunch of diamonds for it if members like it. 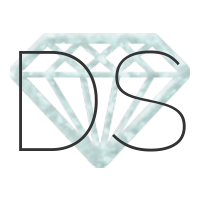 Then the diamonds will be usable just like points but with extra perks :) I haven't really told members all about that yet, but hopefully everyone will like that new change! I'm surprised anyone remembers feathers, I removed them fairly quickly because of the pointless use really. It's similar but that was on every post, this will just be on the main blog post (everyone will be posting as blog style posts). Also they'll have a whole purpose to be used for experience and getting cool stuff. As for the lil notifs yeah I agree they're temporary and the others made more sense, but I plan to update the images anyways and put in something neat that still makes sense to show notifs. Also you'll notice I changed the blog setup, that's just a first step in this since I needed to work on some of these things publicly you'll notice some changes. Update: Also now the main blog page with the masonry setup refreshes on its own every 5 minutes, keeping everything up to date! Note that it's only on the grid page and not the pages for new posting or full posts view. @Leandra: I remember personally because it was... I don't know... just one of those things that stick, I guess. Plus, I only remember like 2-4 people "getting into" (In the way that we posted rather than just view over it,) that thread ever, (unless some others came in later,) and I was one of the few. I can see why you removed them, though. Ahh, thanks for further explanation. I gotcha! I'm so excited!! It sounds great, take your time and thank you!